Mostly Mozart Festival, which will run from July 12 to August 12, is not strictly a music festival, as it also features a major theater engagement and two dance engagements this summer. This year, Lincoln Center announced an expansion of the festival, as it significantly increases the size and scope of its multidisciplinary presentations, enhances its commitment to the music of our own time, and extends its geographical footprint to include Central Park and Brooklyn. While maintaining Mozart’s creative genius at its heart, the festival will magnify its artistic impact through landmark international productions in all disciplines and concerts by emerging creative voices, as well as commissions and world premieres. Opening the 2018 season is Available Light, a trailblazing collaboration between choreographer Lucinda Childs, composer John Adams, and architect Frank Gehry, seen in New York for the first time in 33 years. The achingly beautiful NINAGAWA Macbeth, a revival of the original 1980 production from Japan will be staged one last time before it is retired. A chorus of some 800 experienced and amateur singers will premiere John Luther Adams’s In the Name of the Earth in Central Park’s Harlem Meer. The Mostly Mozart Festival Orchestra, led by Renée and Robert Belfer Music Director Louis Langrée, continues to provide the backbone of the festival’s season with its command of the works of Mozart, as well as repertoire spanning the Baroque to the contemporary. Closing the season, the Mark Morris Dance Group returns to the festival with the world premiere of The Trout, set to Schubert’s eponymous quintet. 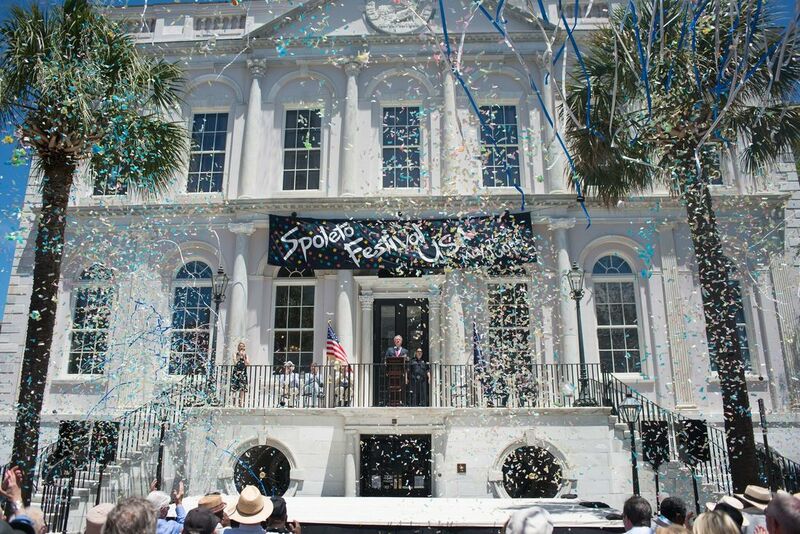 The Spoleto Festival USA Opening Ceremonies take place at Charleston’s City Hall each year. Founded in 1977, Spoleto Festival USA is an annual 17-day performing arts festival in Charleston, SC, that presents leading artists in classical and popular music, jazz, dance, and theater. ​The 2018 season runs May 25 – June 10 and includes more than 150 ticketed events in a dozen locations on the downtown peninsula, from the picturesque College of Charleston Cistern Yard to the grand Charleston Gaillard Center. Highlights of this 42nd season include the US premiere of Tree of Codes, an opera from Australian composer Liza Lim based, in part, on Jonathan Safran Foer’s book of the same name; the US premiere of Borders, a riveting work from playwright Henry Naylor; performances by Miami City Ballet; and concerts from such noted jazz artists as Vijay Iyer, Craig Taborn, and Fred Hersch. The Bank of America Chamber Music series features performances by countertenor Anthony Roth Costanzo, double bassist and composer-in-residence Doug Balliett, and the celebrated JACK Quartet. ​Full season details and ticket information can be found at spoletousa.org. ​Ravinia, located right outside Chicago, is North America’s oldest and most diverse music festival, presenting over 140 different events every summer, including the annual residency of the nation’s finest, the Chicago Symphony Orchestra juxtaposed with performances by non-classical favorites like Diana Ross, Jason Mraz, Jill Scott, Bryan Adams, Mary J. Blige, Sugarland, 50 Cent, Ben Folds and more. ​As a nonprofit organization, Ravinia provides arts programs for over 85,000 people in underserved communities in Cook and Lake Counties through its Reach*Teach*Play educations programs. 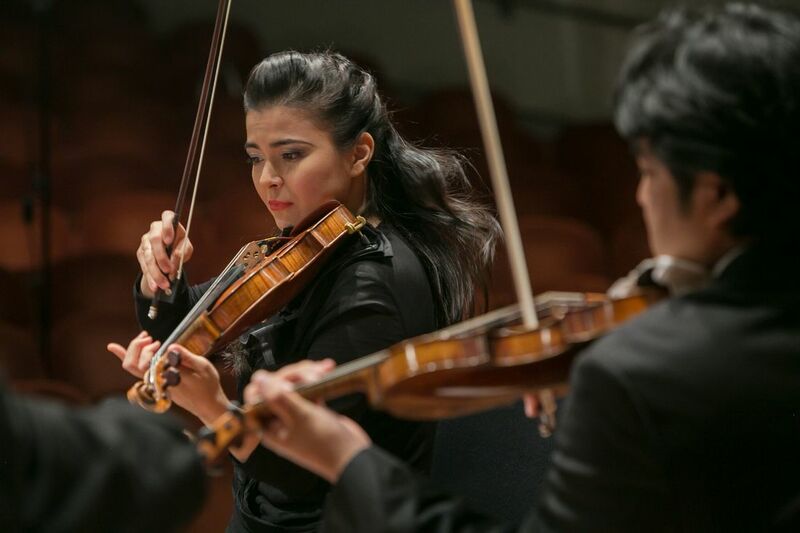 Ravinia’s Steans Music Institute is a summer music conservatory that awards 60–70 fully paid fellowships each year to the most talented young professional musicians from around the world to work with an esteemed faculty and the headliners who frequent the festival. ​Britt Music & Arts Festival and Britt Orchestra, led by Music Director Teddy Abrams, will run from July 25 through August 11, 2018 in Jacksonville, OR. Inspired by its intimate and scenic hillside venue, Britt Music & Arts Festival provides diverse live performances, an incomparable classical festival and dynamic education programs that create a sense of discovery and community. Much of the 2018 Britt Orchestra season will highlight the music and legacy of Leonard Bernstein in celebration of his 100th birthday. This season, Britt is trying something new: The Pops concert will open the season on July 25, with a fun collection of “Classics in the Movies.” From reggae to country music to classic rock, folk and comedy – there is something for everyone in the 2018 Britt Season. ​The Cabrillo Festival of Contemporary Music, America’s longest running festival of new orchestral music, celebrates this year its 56th season and the second season of its esteemed Music Director and Conductor, Cristian Măcelaru, July 29 - August 12, 2018. This year’s festival takes audiences around the globe with a series of new works by composers from the US, UK, Canada, Macedonia, Romania, China, Korea, and Sweden. Among this season’s highlights are two world premieres, three US premieres and eight West Coast premieres. The Festival also commemorates the 80th birthday of two American music icons: William Bolcom and John Corigliano. Seventeen of the eighteen featured composers will be in residence this season, including Karim Al-Zand, William Bolcom, Anna Clyne, John Corigliano, Dan Dediu, Zosha di Castri, Gabriela Lena Frank, Vivian Fung, Michael Gandolfi, Pierre Jalbert, Kristin Kuster, Missy Mazzoli, Huang Ruo, Pande Shahov, Sean Shepherd, Peter Shin and Andrea Tarrodi. This represents a record number of composers in residence, and a record number of female composers. Special guest artists include Simon Trpčeski (piano), Mary Mackenzie (soprano), Philippe Quint (violin), Kronos Quartet, Philip Edward Fisher (piano), Nicholas Phan (tenor) and Justin Bruns (violin). Bellingham Festival of Music opens its 25th Silver Anniversary Season, for Three Weeks of Concerts, from June 30th to July 20th. Nestled between snow-capped mountains and island-studded bay, the spectacular natural beauty of Bellingham, Washington, provides the ideal backdrop for the celebration of classical music. Under the artistic direction of co-founder and noted American conductor Michael Palmer, the festival orchestra is composed of some of the finest musicians in the United States and Canada. This year’s Festival Anniversary celebration will coincide with Maestro Palmer’s 50 years in conducting. The West Coast premiere of Aaron Jay Kernis’ Fourth Symphony “Chromelodeon,” plus festival debuts by three of five guest soloists, a performance by the Calidore String Quartet, and milestone pieces showcasing the BFM Orchestra are only some of the highlights of this Festival. 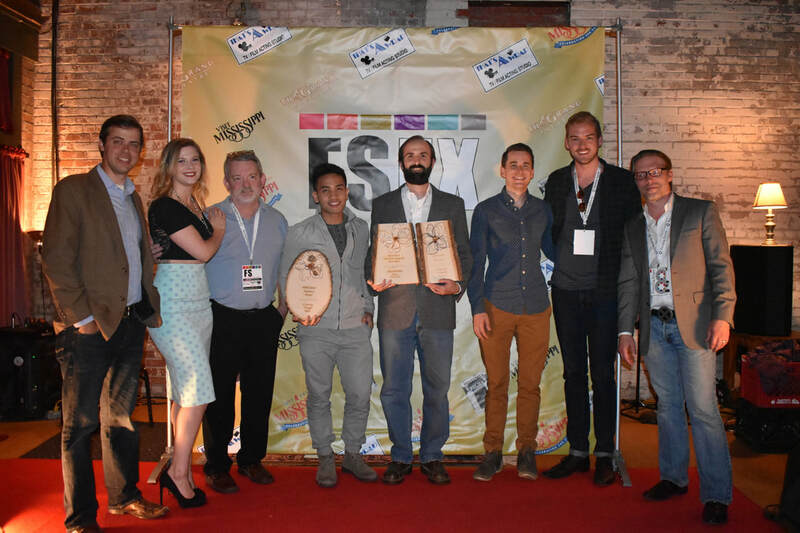 FestivalSouth is Mississippi’s only multi-week, multi-genre arts festival, offering both free and ticketed events to local residents and cultural tourists June 9 - 23. Presented by the Hattiesburg Concert Association (HCA), this year’s festival is a two-week experience offering over 60 art, music theatre, dance, film, food and fun events for every age range and musical taste. Attendees will notice events for families, youth, adults and senior adults with fun events for all, many with earlier times to enjoy your evening even more! Bar Harbor Music Festival's 52nd Season starts on July 1 through July 29 in the spectacular setting of Bar Harbor, Maine. 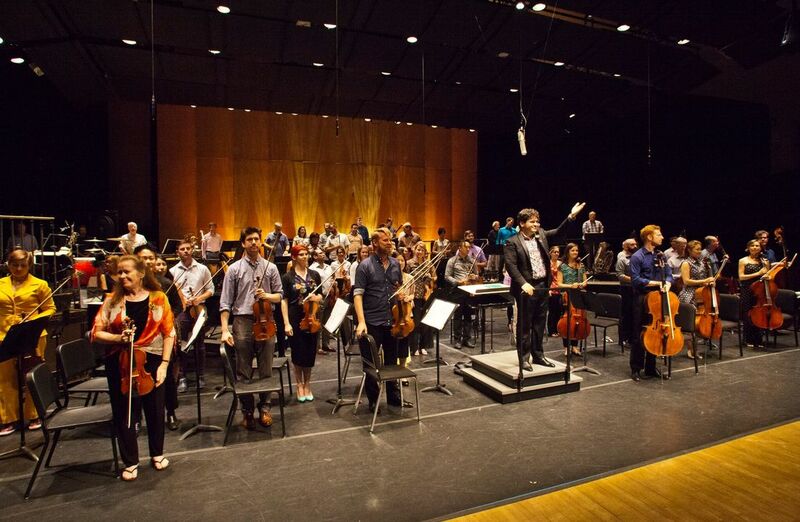 Acclaimed by Phi Beta Baton as “…one of the nation’s proving grounds for gifted young artists,” the Bar Harbor Music Festival, founded by violinist Francis Fortier in 1967, has gained national recognition for its unique and pioneering work on behalf of young artists. The Festival has made a major contribution to the music world by advancing the careers of over 2,100 aspiring instrumentalists, singers, and composers. Coupled with our “Arts and Tourism” initiatives, it has provided a vital cultural and economic service for the community and visitors from all over the world. The 2018 52nd Season promises the unique variety and extraordinary quality for which this Festival has become known and loved. ​The Lakes Area Music Festival (LAMF) celebrates its 10th anniversary in 2018, with a three week season held August 4 - 26. 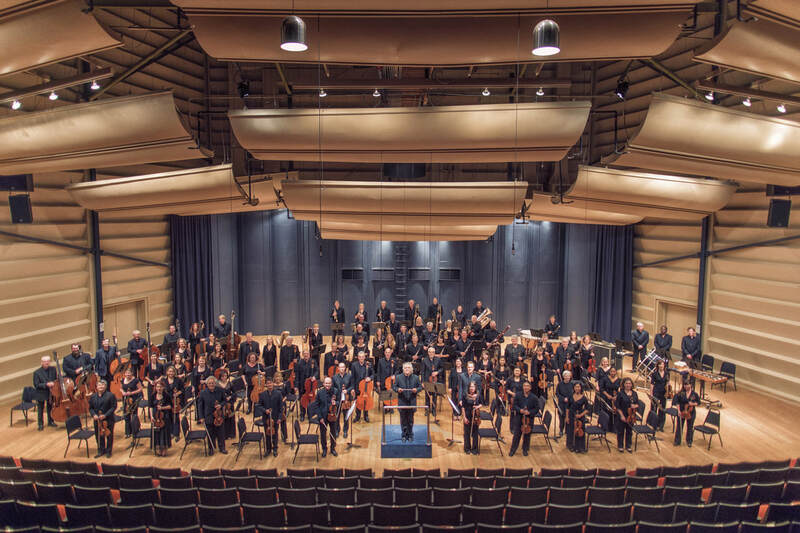 During this time, 150 all-star musicians from the nation's top symphonies and opera companies converge in the lakes country of central Minnesota for performances of chamber music, orchestra, opera, and ballet. Repertoire for the 2018 season will include favorite works from the past seasons of the festival, including full-scale productions of Mozart's opera The Magic Flute and Aaron Copland's ballet Appalachian Spring. Other season highlights include a season opening outdoor gala concert of John Williams film scores, Mendelssohn's String Octet, Mozart's Symphony 40, and a finale performance of Mahler's fourth symphony featuring soprano Julia Bullock as soloist. In addition to concerts, various education camps and activities for audiences of all ages are provided. The organization's outreach initiative brings musicians outside the concert hall and into community spaces such as parks, libraries, shelters, and jails. Unique in its presentation, all festival concerts are presented without tickets or set admission fees; instead audiences contribute as they are able. Seattle Chamber Music Society presents a Summer Festival each July featuring 12 concerts in the Nordstrom Recital Hall at Benaroya Hall and a free concert at Volunteer Park. Grammy Award winning soloist James Ehnes serves as the Artistic Director, and invites more than 40 renowned musicians to create small ensembles to play masterpieces from the chamber music repertoire. The 2018 concert series, July 2-28, includes a focus on works by Beethoven and Brahms, music by French composers from the baroque era to impressionism, the world premiere of They Have Just Arrived at This New Level by famed film composer James Newton Howard, and one of Bach's monumental final pieces, The Musical Offering. Visit seattlechambermusic.org for complete schedule and festival details. 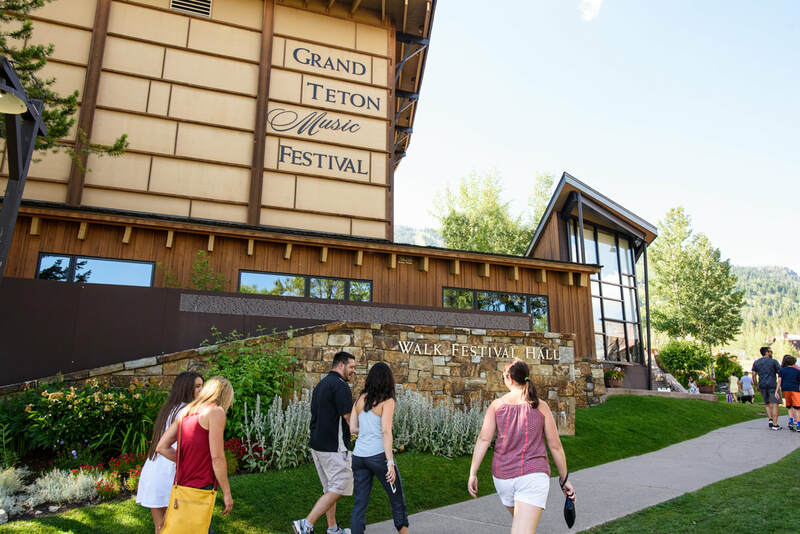 ​The 2018 Grand Teton Music Festival in Jackson Hole, Wyoming celebrates Leonard Bernstein’s centenary with soloists including violinists Leila Josefowicz and Julian Rachlin; pianists Daniil Trifonov, Kirill Gerstein, and Olga Kern; bassist Edgar Meyer; and cellist Johannes Moser. Broadway superstar Audra McDonald appears as the Gala artist. The season also features two world premieres, including a string quartet by composer Kareem Roustom and piece for orchestra by Sean Shepherd. Music Director Donald Runnicles leads the Festival Orchestra, which is composed of top musicians from America’s best orchestras. The seven-week festival, July 2 - August 18, takes place at the foothills of the majestic Teton Mountains, attracting classical music pilgrims from around the world. Visit our site gtmf.org and reserve your seats! ​Square Roots, the one-of-a-kind craft beer and music experience, returns to Lincoln Square July 13th– 15th, boasting more than 70 acts on four stages (two indoor, two outdoor), and more than 40 regional craft brews paired with Lincoln Square’s finest restaurants and local artisans. 2018 marks the 7th Anniversary of Square Roots. More than 30,000 fans are expected to provide a comfortable and inviting multidimensional experience for all ages that appeals to music, food and craft beer enthusiasts. Proceeds from Square Roots benefit small business workshops and community place-making efforts and fund the Old Town School of Folk Music scholarship programs, as well as the Lincoln Square Ravenswood Chamber of Commerce’s local shopping initiatives, ongoing community events and public farmers markets, as well as free summer concerts and artist-in-residence programs at Chicago Public Schools. Come and visit us on these three-days festival featuring music, dance parties, free music lessons and jams and plenty of family fun activities.